Plant now for the future. Increase your food independence by starting your own vineyard. 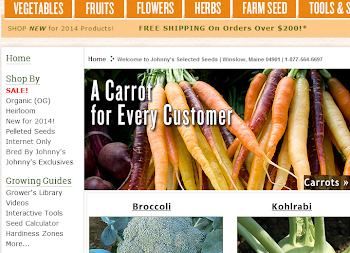 Johnny's has high-quality plants of the most popular cold-hardy varieties. A vigorous, early ripening wine grape with good winter hardiness, Marechal Foch is widely grown in Canada, the Northeast, and the Upper Midwest. It is also found in some vineyards in Oregon's Willamette Valley. Wine made from this French-American hybrid is often compared to Burgundy wines, because of its deep purple color and berry flavor. The grapes are very small, which makes them attractive to birds, so netting is recommended. A very cold-hardy hybrid grape, Brianna is used both as a seeded table grape and for juice and white wine. It is becoming very popular in the Upper Midwest. Grapes are medium-large and round, thick-skinned and gold when fully ripe. Clusters are medium. Wine from Brianna grapes is described as having an aroma of pineapple. Get started in grape growing with this collection of flavorful, seedless varieties. You'll get one vine each of Concord for blue, Himrod for white, and Vanessa for red. 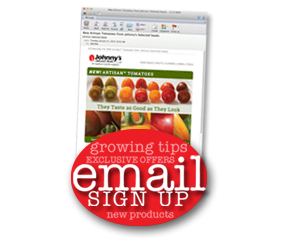 This is a great way to start researching the varieties that will grow and taste best for you. I'm about 45 minutes North of Portland, ME and i planted my first grapes last summer (early). I have Marechal Foch, Edelweiss, Reliance and Frontenac. I can't wait to see how well they did making it through winter and then see them grow this summer. Hello... I purchased three vines from you three years ago. I am located in the Northwest Corner of CT. My vines were "trained" for two years before we built a trellis that is about 8' high and 6' wide for them. They are SO happy! We have tons of grapes, but sadly they are turning black and shrinking before our eyes!! Any ideas what's gone wrong? Also, I can't recall what type of grapes they are... can you tell me the variety you sold (not seedless) in the past few years? We're happy to look into it for you. Would you mind sending us a photo of the affected grapes? A photo of the leaves will also help, the weather conditions this spring could have encouraged a number of different disease issues.